The Hospital currently has 34 acute care beds and 50 long-term care beds, with medical services provided by a 14-physician staff. 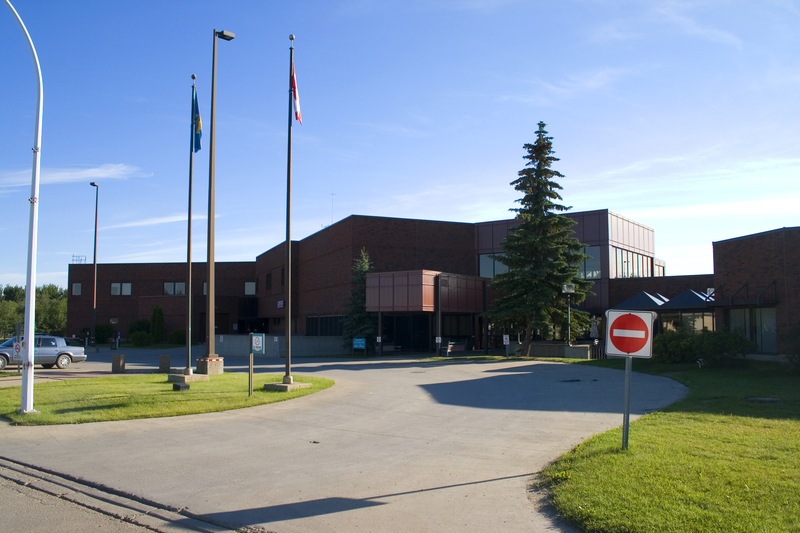 The hospital provides service to Drayton Valley, Brazeau County and the surrounding communities of Alder Flats, Alsike, Breton, Buck Creek, Buck Lake, Cynthia, Lodgepole, Rocky Rapids and Winfield—a total population of 23,000. Physicians interested in working in Drayton Valley should check the RPAP physician recruitment website for opportunities. The International Qualifications Assessment Service website compares educational qualifications from other countries to provincial educational standards. The Satellite Dialysis Unit, in partnership with the University of Alberta and the Northern Alberta Renal Program, is housed in the Acute Care area. Residents of the Drayton Valley community have been well served by this outreach program for many years. In August, 2003, Capital Health expanded this program and the chair capacity doubled to four. The facility is fortunate to have a certified diabetes education team on site that provides support to both in- and out-patients. In partnership with the Alberta Cancer Board, a Community Cancer Centre was formed in the Drayton Valley Hospital. This centre offers increasingly complex chemotherapy to clients living with cancer by specially trained physicians and registered nurses. With the onset of regionalization in 1995, OR services were expanded to accommodate specialists who would visit the facility on a regular basis to provide surgery. This expansion also included purchasing laparoscopic equipment, which was supported through the financial assistance of the Drayton Valley Health Services Foundation. In the early ‘90s, Telepsychiatry was introduced. This program has been well received in the community. Since that time, our Telehealth services have been expanded to include speech therapy, poison control, Teleradiology and a Pediatric Intensive Care Unit project with the University of Alberta. We will also have the ability for Teleultrasound in the near future. The hospital currently houses portable Telehealth equipment in the trauma room that can be transported to other areas if required, including the Special Care Unit. In conjunction with clinical services, TeleHealth is also used for administration and education purposes. There is a great deal of potential for expansion with this equipment. Supportive housing is an alternative living arrangement for the elderly and/or physically challenged. Its purpose is to retain the resident’s independence, while allowing them the comfort of living next to a hospital. The housing units are on the ground floor. Residents are offered security and maintenance in exchange for a monthly condo fee. The units are designed specifically for seniors and the physically challenged, and they can be individually adapted to meet the resident’s specific needs. A barrier-free design has been incorporated throughout the units, offering extra space for wheelchair mobility and walk-in showers. The Bio-mile will provide a home to companies, organizations, research partnerships, and those in the bio-energy industry. Enjoy the beauty of the Drayton Valley landscape as you play a round of golf. One of the top priorities in The Town’s Social Development Plan, learn how housing is essential to our community’s economic growth.